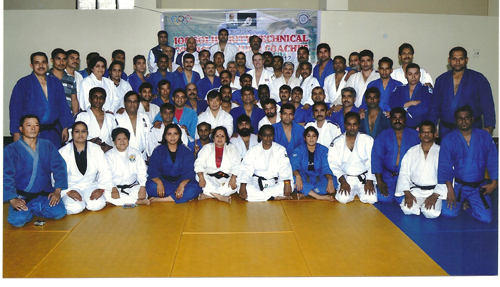 Mr. Neil Adams, conducted the Olympic Solidarity Technical Course for Indian Coaches. IJF Judo for Peace Commission Director Mr. Jan Eirik Schiotz with Mr. Johannes Daxbacher, IJF Police and Army Commission visited Imphal, Manipur, India. Saudi Arabian Judo & Taekwondo Federation organised Technical Course for Coaches. 1st Asain Judo Kata Championships and Kata Judge Seminar and Exam. will be held at Bangkok.